The Open3D team and the Open Source Vision Foundation (http://www.osvf.org) are proud to announce the release of the 0.4 version of the Open3D library. This release brings support for RealSense RGB-D sensors to Open3D, enabling functionalities such as real-time RGB-D capturing and a new point cloud viewer. We have also added new documentation and examples using RealSense sensors to create 3D reconstructions. We are also excited to introduce support for Jupyter notebooks with a brand new WebGL widget to perform advanced 3D visualization from the comfort of your browser. One of our main goals is to leverage Open3D as a tool to simplify the use of state-of-the-art 3D pipelines like those used in computer vision and machine learning. With this goal in mind, we are proud to introduce the Open3D Ecosystem, a set of repositories that make use of Open3D to create powerful applications. The first member of this ecosystem is Open3D-PointNet [link], a version of the famous machine learning architecture [link] for point cloud classification and semantic segmentation, which is now fully usable from the commodity of Open3D routines. From a project infrastructure perspective, we just finalized the integration with TravisCI to perform automatic unit testing. This is a large step forward in terms of quality control for Open3D and it will help to make our software more reliable while expediting its development. The team has made an enormous effort to define UnitTests for all the functionalities present in the library, a task that will be concluded in future releases. Check out our release video [link] to see these functionalities in action! For a detailed description of all the features of Open3D 0.4, please keep reading. We hope you enjoy this release and hope to hear from you. Please send us feedback at info@open3d.org and join our Discord network [link] to participate in the discussions. Open3D 0.3.0 is ready to go! Open3D is being developed under the auspices of the Open Source Vision Foundation (http://www.osvf.org). The team has been working hard to make Open3D accessible and easy to use. In this regard, version 0.3.0 brings major features related to library installation, including improved CMake installation for Linux, Mac and Windows with off-the-shelf systems; new installation options using PIP and CONDA for Linux, Mac and Windows; and overall an easier and cleaner installation experience. We are also continuing to extend the 3D processing and visualization functionality. Among other features, version 0.3 brings support for enhanced 3D reconstruction; extension of TSDF volume integration to floating-point intensity images; and an improved non-blocking visualization tool. This version also comes with extended and improved documentation. We have enhanced the tutorials on multiway registration, marching cubes, global registration, and headless rendering, among others. Open3D 0.3.0 also includes our first set of tests to verify the integrity and correctness of the library. You can expect to see much more of this in future releases. For a detailed description of all the features of Open3D 0.3, please keep reading. We hope you enjoy this release and hope to hear from you. Please send us feedback at info@open3d.org and join our Discord network (https://discord.gg/D35BGvn) to participate in the discussions. Open3D release 0.2 is here! The first major update of Open3D, with various additional features and bug fixes. Headless rendering: GLFW 3.3 dev + OSMesa combinations for supporting headless rendering. This feature is especially useful for users who want to get depth/normal/images from a remote server without physical monitors. Non-blocking visualization: draw_geometries() is a useful function for quick overview of static geometries. However, this function holds process until a visualization window is closed. Non-blocking visualization shows a live update of geometry while the window is open. 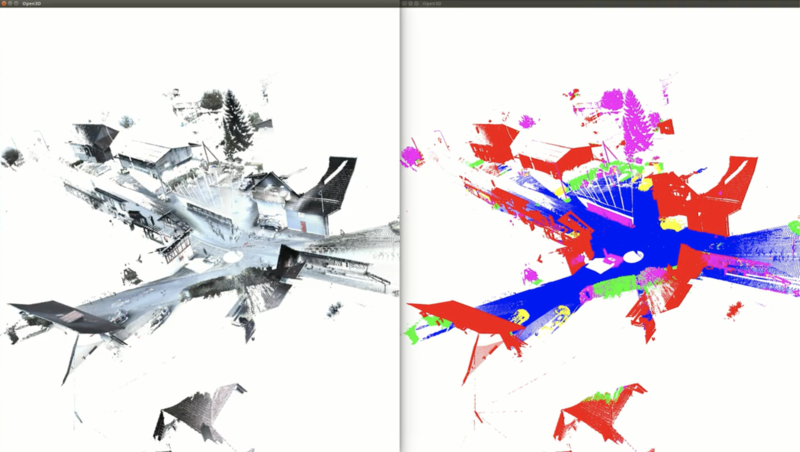 Mesh cropping: In v0.1 VisualizerWithEditing only supports point cloud cropping. The new version supports mesh cropping as well. sandbox Open3D from other applications on a machine. operate Open3D on a headless machine using VNC or the terminal. edit the Open3D code on the host side but run it inside an Open3D container. Fast global registration: Open3D’s implementation of ‘fast global registration’ paper [Zhou et al 2016]. For the task of global registration, the single threaded fast global registration is about 20 times faster than RANSAC based implementation. Color map optimization: Another interesting application for copying seamless texture map to the reconstructed geometry. This is an implementation of ‘’Color Map Optimization for 3D Reconstruction with Consumer Depth Cameras” paper [Zhou and Koltun 2014]. The optimization pipeline creates sharp texture mapping on the geometry taken with color cameras. Basic operations for color and depth images: new function that can generate a depth discontinuity mask from a depth image. New dilation operators for making a thicker discontinuity mask. Refined CMake build system: polished CMake build system so that it can fully support make install or make uninstall. Once installed, Open3D library is searchable using find_package module in CMake. CMakeList.txt file for the new application is simplified. PyPi support: Newer version provides pip install which is a more convenient way to begin using Open3D. Try ‘pip install open3d-python’ and ‘import Open3D’ in Python. Basic test framework: Adding initial support for ‘Gtest’ examples to test Open3D’s functions and classes. Changing Python package name: python package name is changed from py3d to open3d. Bug fix on the Reconstruction system regarding defining and utilizing information matrix. Additional materials on Open3D documents. Focus on implementation of basic widely-used 3D processing algorithms. Does not depend on heavyweight libraries. The library can be built and run from source using Ubuntu/MacOSX/Windows systems. Open3D provides point cloud, triangle mesh, image, and pose graph data structures. Each data structure has its own I/O interface with various files. 3D geometry: Bin, PCD, PLY, PTS, XYZ, XYZN, XYZRGB. camera trajectory & pose graph: JSON, LOG. 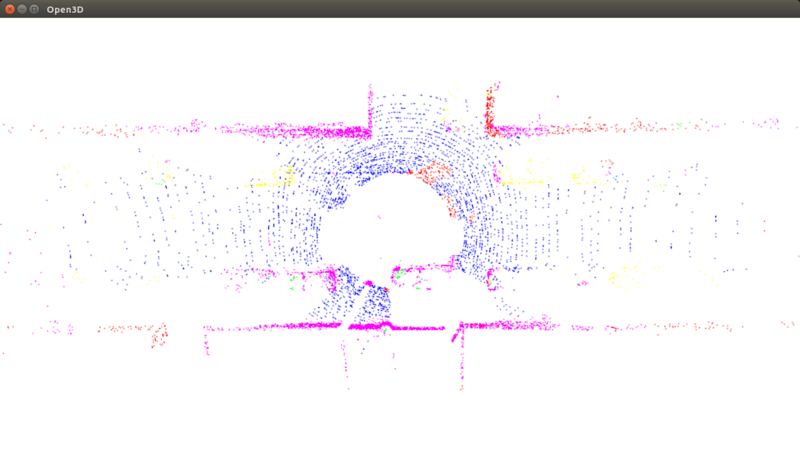 Point cloud downsampling, normal estimation, and vertex coloring. Gaussian and Sobel filter for image processing. Provides basic scene reconstruction system specialized for RGBD sequence. The system consists of RGBD Odometry, pose graph optimization, and TSDF volume integration. The integration volume can be scalable. Implementation of local geometric feature: ‘Fast Point Feature Histograms (FPFH)’ paper [Rusu and Beetz 2009]. 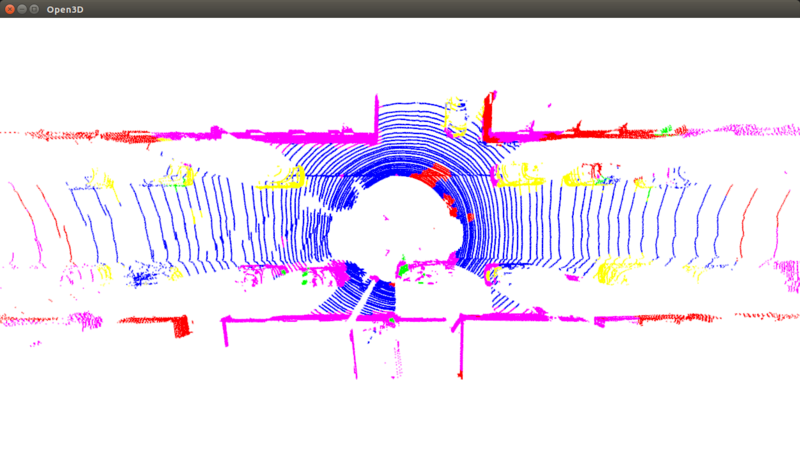 Point-to-point/point-to-plane/colored ICP implementations with OpenMP acceleration. Provides a basic, RANSAC-based global registration pipeline. Fast pose graph optimization: implementation of ‘Robust reconstruction of indoor scenes’ paper[Choi et al 2015]. In house convex optimization: Gauss-Netwon and Levenberg-Marquardt methods. 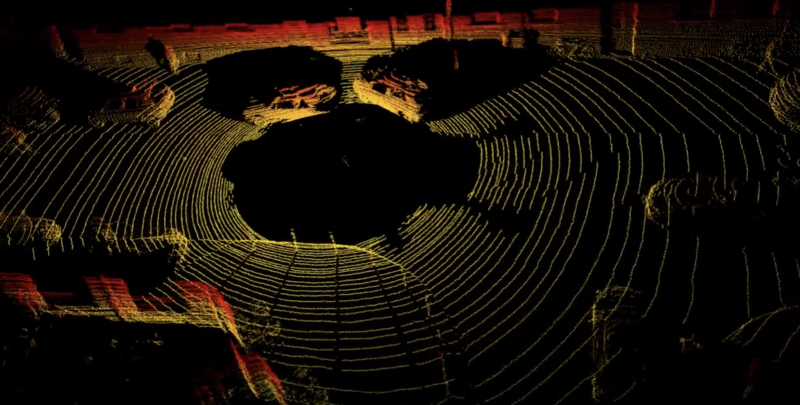 Quick overview of point cloud, mesh, image. Various options to customize camera path or camera intrinsics. Providing rendering buffer access to save rendered images. Can configure custom key callback functions. 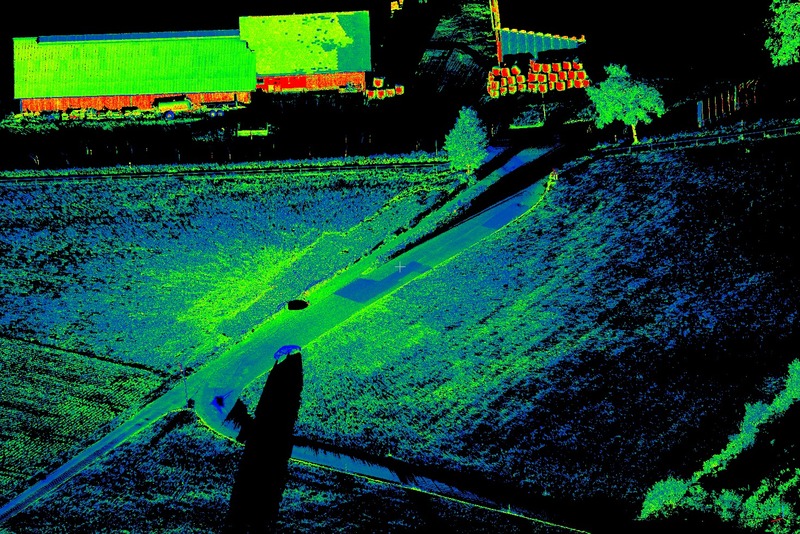 Can select a region and crop of crop point cloud. The c++ functions/classes/definitions are exposed to the Python API. The Python API provides a quick debug cycle for development of novel algorithms.